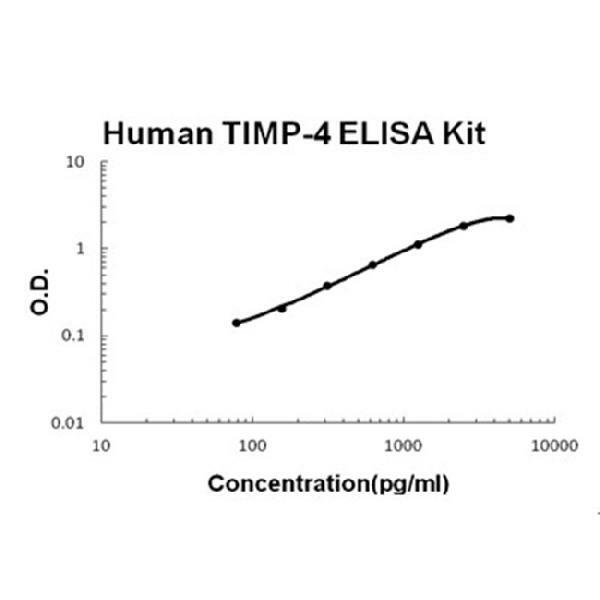 Sandwich High Sensitivity ELISA kit for Quantitative Detection of Human TIMP-4. 96wells/kit, with removable strips. Tissue inhibitor of metalloproteinases 4, also called Metalloproteinase inhibitor 4, is an enzyme that in humans is encoded by the TIMP4 gene. This gene belongs to the TIMP gene family. The proteins encoded by this gene family are inhibitors of the matrix metalloproteinases, a group of peptidases involved in degradation of the extracellular matrix. This gene is mapped to 3p25.2. The secreted, netrin domain-containing protein encoded by this gene is involved in regulation of platelet aggregation and recruitment and may play role in hormonal regulation and endometrial tissue remodeling.